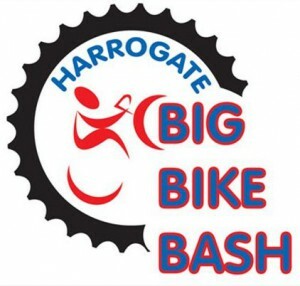 The Harrogate Big Bike Bash saw hundreds of riders take to the streets of Harrogate over the weekend. 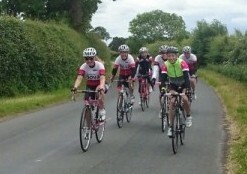 There were plenty of Nova members in action including in the family ride the route on Saturday afternoon. 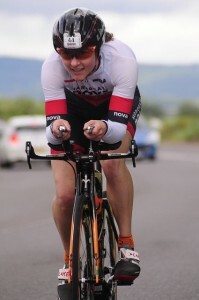 Nova’s Rob Senior placed second in the invitation Time Trial event with a time of 2:14, losing out to double Olympic bronze medallist and professional bike rider Sam Bewley (Orica Greenedge) who stopped the clock at 2:00; Andy Gardner was third with 2:16. In the evening criterium support race on the closed one mile circuit of Harrogate, Glen Turnbull, Patron, was the best placed Nova member in fourth behind runaway winner Tom Pidcock (Speedflex RT). 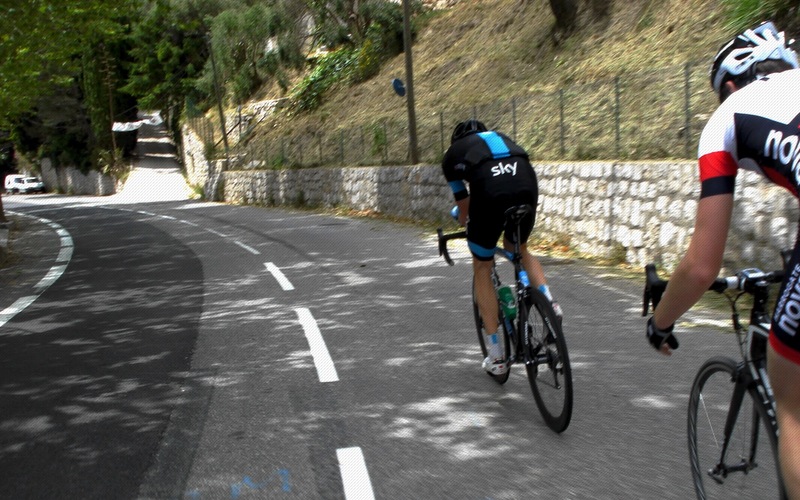 Second-claim Nova member Dylan Flesher, Prologue Racing Team was 12th, just ahead of Nova’s own Matt Dalby in 14th. In the Elite race, Dave Morris mixed it with the professionals and was rewarded with a 14th place behind winner Chris Opie (One Pro Cycling). Matt Dalby was the winner of the Thew Cup at Event 8 of the Evening TT League. 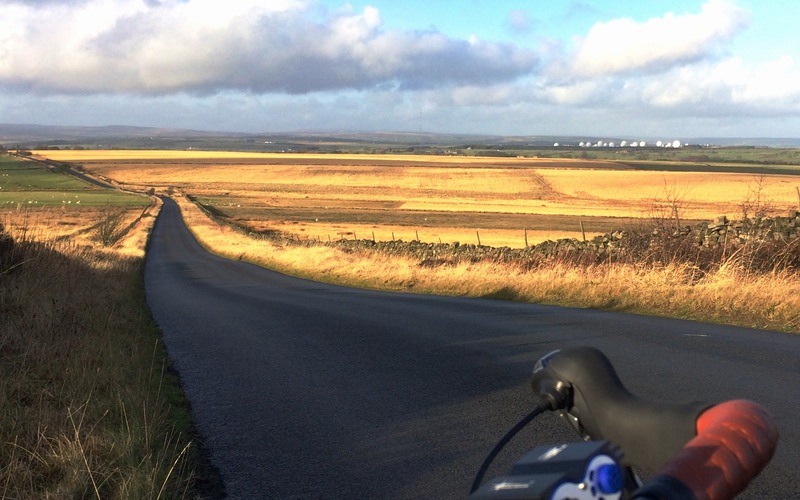 Presented to the then Harrogate Cycling Club by George Thew in 1946, the cup is awarded to the fastest finisher on handicap over a distance of 25 miles. Dalby’s adjusted time of 54:07 secured the trophy by just one second from Roger Bromiley with an adjusted time of 54:08. Corrine Mitchell placed third with an adjusted time of 54:10. 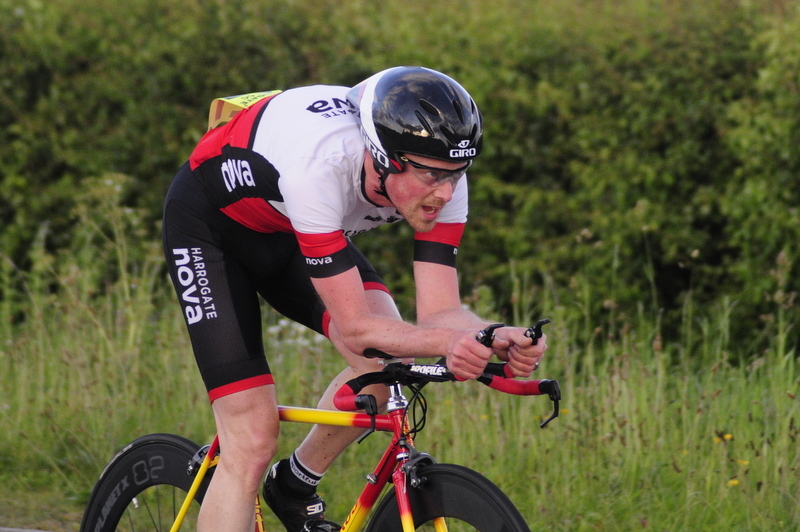 In the men’s event, it was an easy win for Duncan Mullier, who completed the Boroughbridge-Walshford-Dishforth-Boroughbridge course in a time of 54:57. Richard Hamilton squeezed into second place with 57:37, just ahead of Simon Cave in third with 57:45. Matt Dalby’s excellent ride of 58:37 secured fourth place and a strong performance from former Thew Cup winner Rob Senior completed the top five with 58:39. Corrine Mitchell claimed top spot on the ladies podium with a Ladies League course record time of 1:04:10. 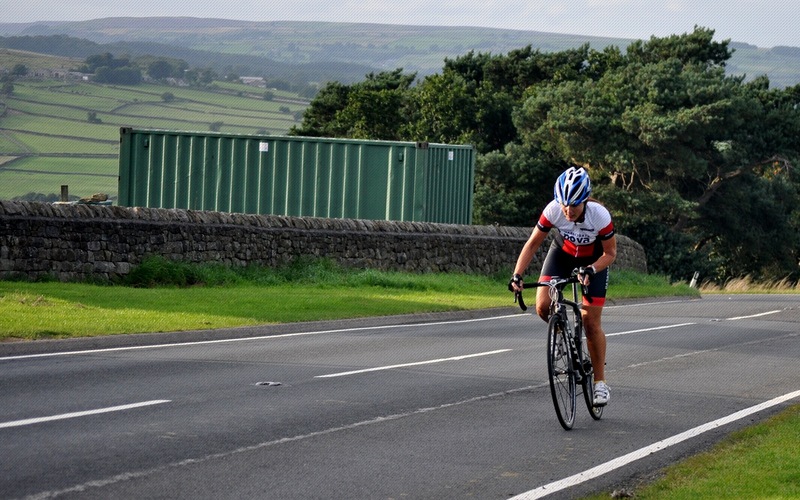 The new record (also a Club Lady Veteran ’25’ record) lowered the previous ladies course best set by Ele Haresign in 2012 by 45 seconds, and was three minutes quicker than Mitchell’s previous efforts on the longest League course. Julie Patmore took second spot with 1:07:16 with Sarah Cave in third. Tim Jarvis, another former Thew Cup winner, was the fastest Vet-50 with a time of 59:47. 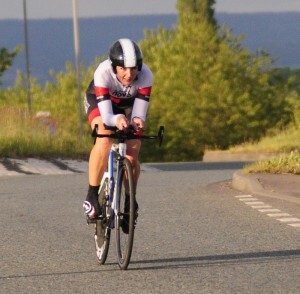 Yorkshire Road Club’s Mike Shacklock was the quickest of the Vet-60s with 1:06:57. 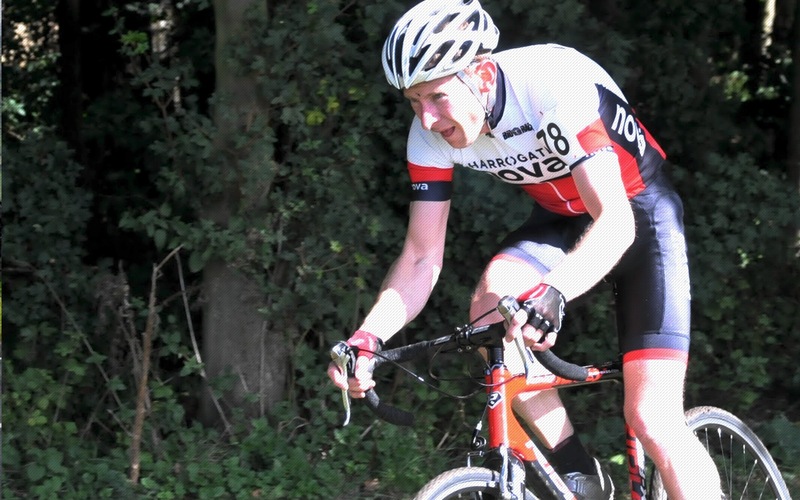 Tim Broomfield was the best placed rider on a non-specialist bike, recording very respectable 1:09:02. 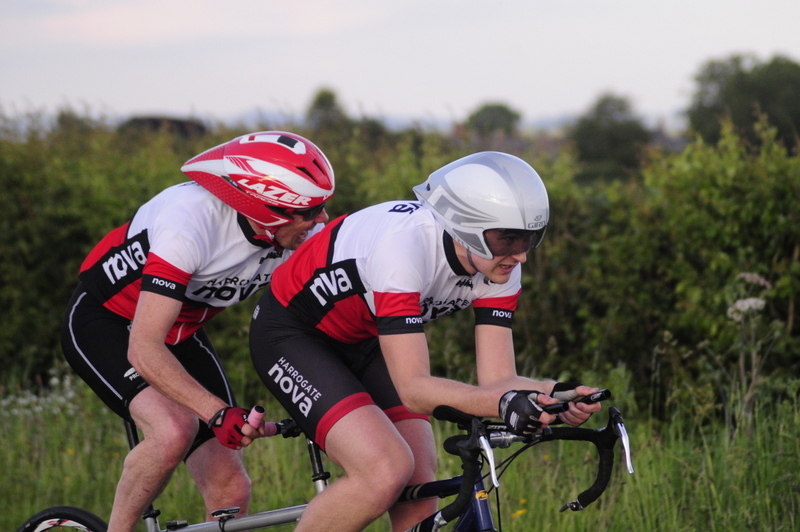 The pairing of Niall Frost and Andy Holgate produced the quickest tandem ride seen on the Club ’25’ course in recent years, stopping the clock at a storming 59:09. 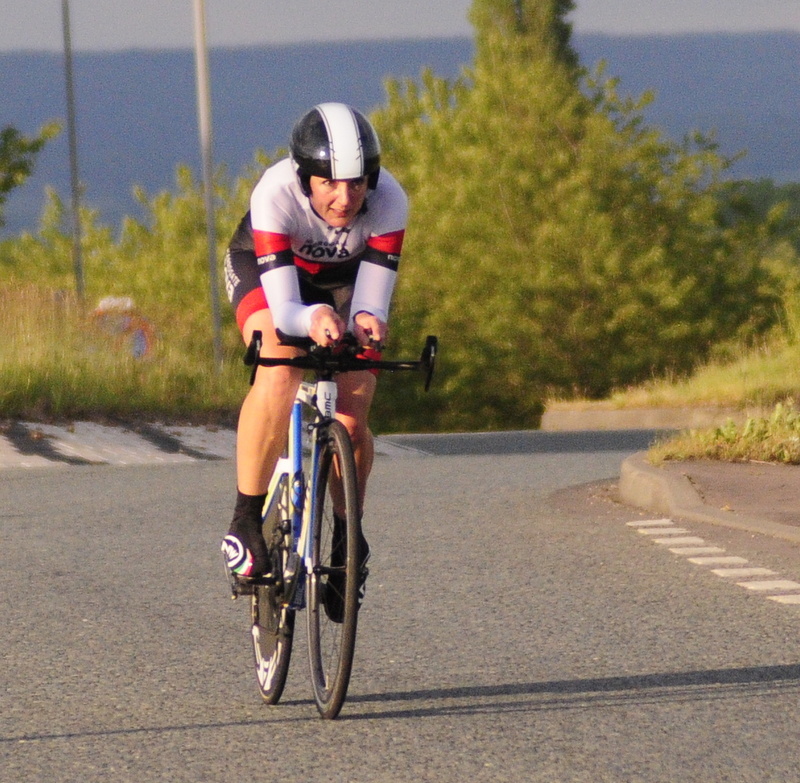 Duncan Mullier had a fruitful trip to Etwall in Derbyshire to take part in the Walsall Roads CC 25 mile TT, setting a new Club record of 50:49. Mullier’s top twenty finish, from a strong field of 100 riders, lowered his own benchmark by over a minute. 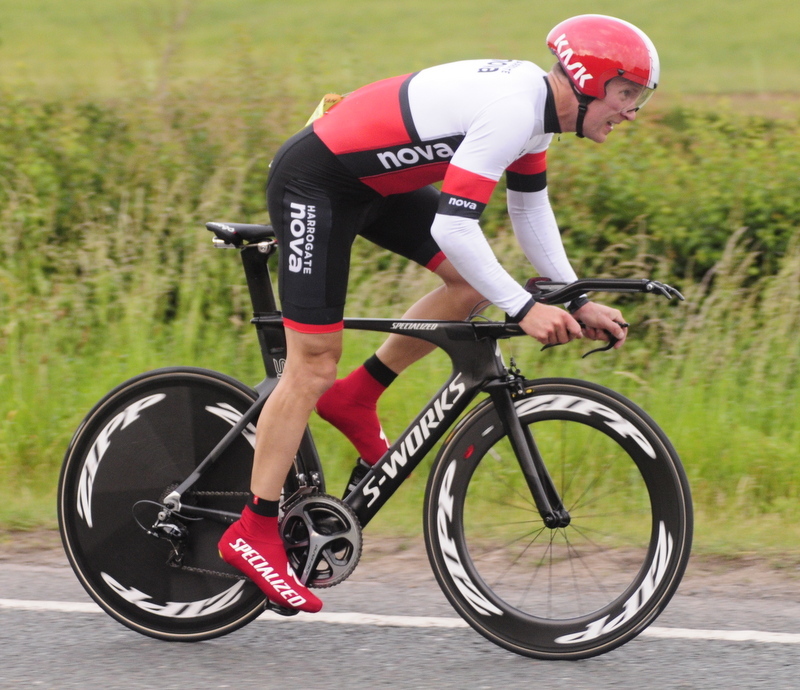 Top honours went to Matt Bottrill, drag2zero, with a stunning time of 46:30, the fastest recorded ’25’ of the year so far despite riding in torrential rain. 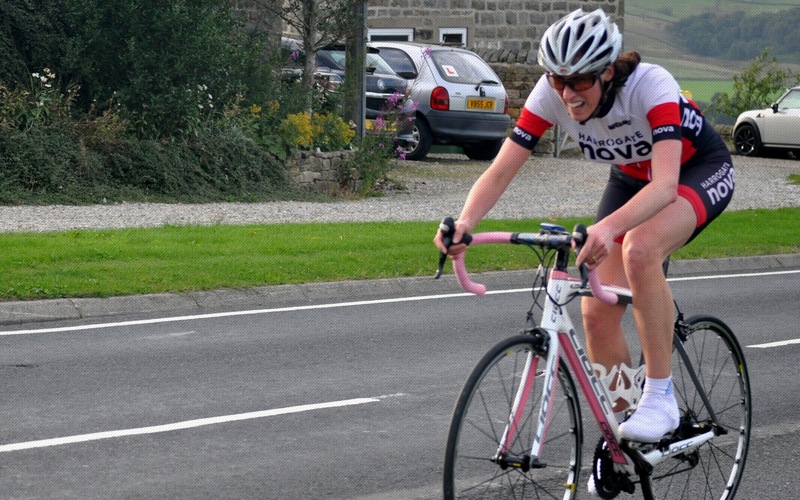 At the Yorkshire Road Club 25 mile TT Nova’s Ele Haresign tied for third placed lady with a time of 1:00:55. Top ladies honours, and the Hodgson Trophy, went to Nova second-claim member Jess Bacon (York Cycleworks) whose brilliant ride of 56:45 placed her twentieth overall on the V236/1 (Topcliffe-South Kilvington- Topcliffe) course. Competing in the same event, Ian Peacock recorded 59:09 and Mike Hutchings 1:07:25. 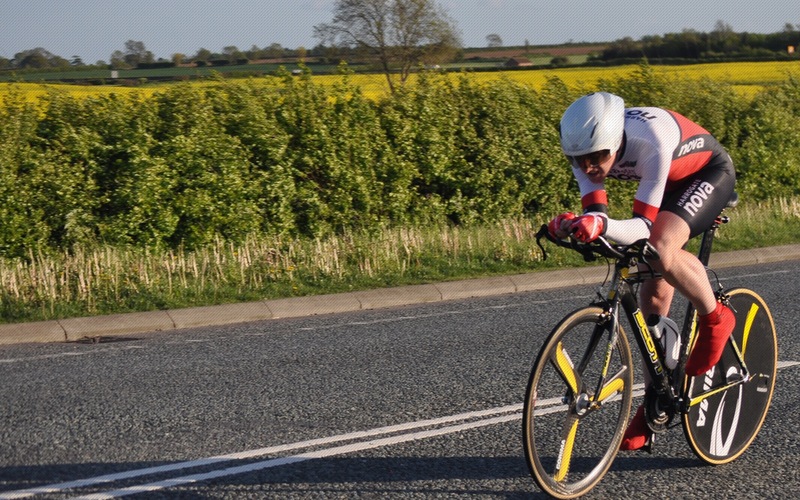 Walter Wilkinson produced another excellent ride in Round Three of the Team Swift Evening League on Wednesday night, recording 21:53 for the ten mile V718 course near Hull. 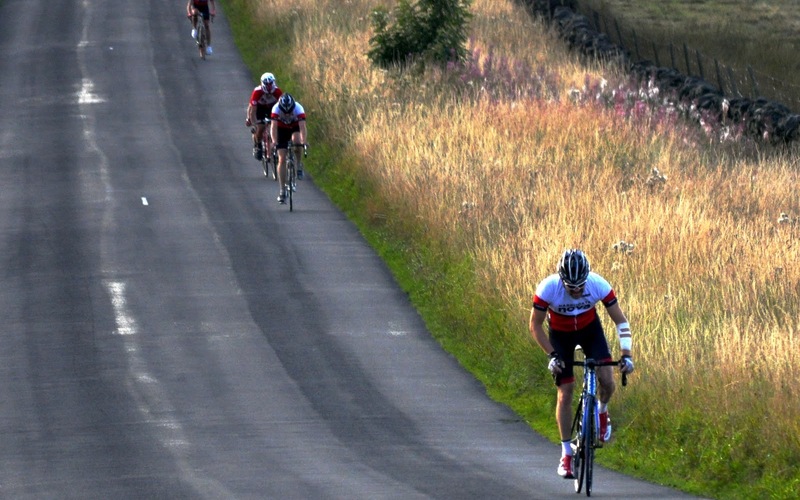 In Round Five of the Yorkshire Cycle-Cross Association Summer Series, Richard Hamilton was denied a top ten finish by one second, placing eleventh (fifth Vet-40) in the event at the York Festival. 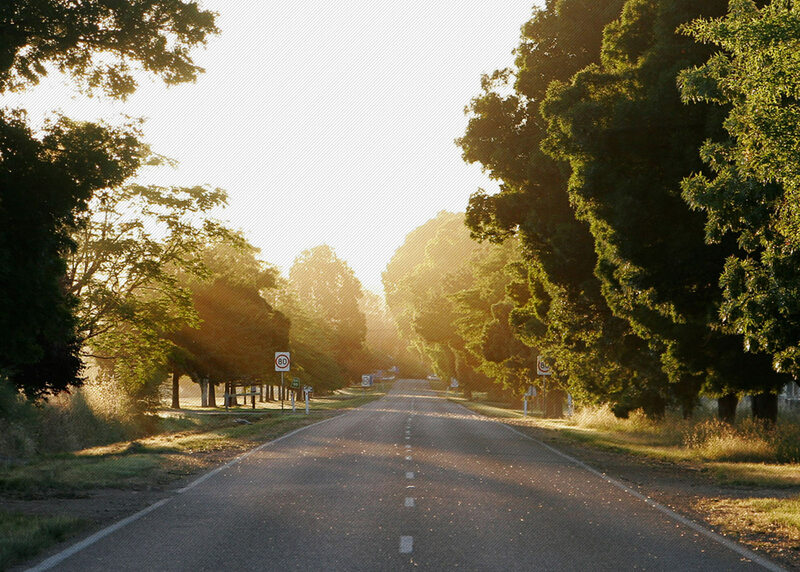 The second Nova Social Club Run took place on Sunday. Sixteen members enjoyed a sociable 50 mile ride that took them to Spofforth, North Deighton, Cowthorpe, Cattal, Little Ouseburn, Helperby, Thornton Bridge, Milby, a coffee stop in Boroughbridge before heading back to cake at Prologue Cycling café via Roecliffe, Bishop Monkton, Burton Leonard and Knaresborough.